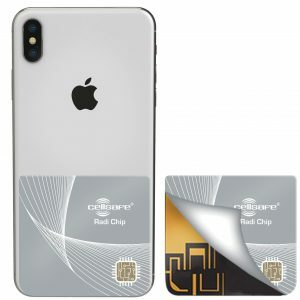 Made from specially formulated microwave absorbing materials (similar to those used on military aircraft to make them invisible to radar detection), the RadiChip not only absorbs most of the transmitted RF signal from the mobile phone, but also disperses the remaining signal to the the back of the phone. 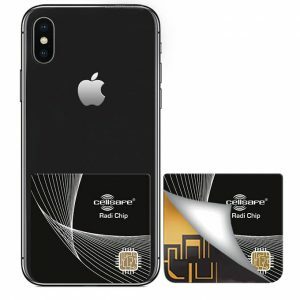 Independently tested and proven to reduce exposure to SAR (Specific Absorption Rate) by up to 98%, the RadiChip adheres to the back of the phone and will fit inside almost any mobile phone case (as long as the case doesn’t contain any aluminium or metal). RadiChips are made of multiple layers of specially formulated microwave absorbing materials, combined with a specially engineered passive directional RF coupler. These layers absorb most of the transmitted RF signal from the mobile phones antenna while the RF coupler controls and disperses the signal towards the back of the phone. Developed by an Australian RF Engineer, RadiChips has been scientifically tested and proven not to interfere with the normal operation of the phone including transmission signal and call reception. 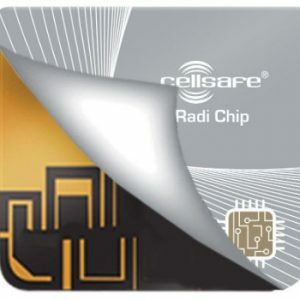 The Cellsafe technology has been independently tested and demonstrated a reduction in the Specific Absorption Rate (SAR) up to 95%*. SAR is used to measure the energy which is absorbed by human tissue when exposed to a radio frequency electromagnetic field. 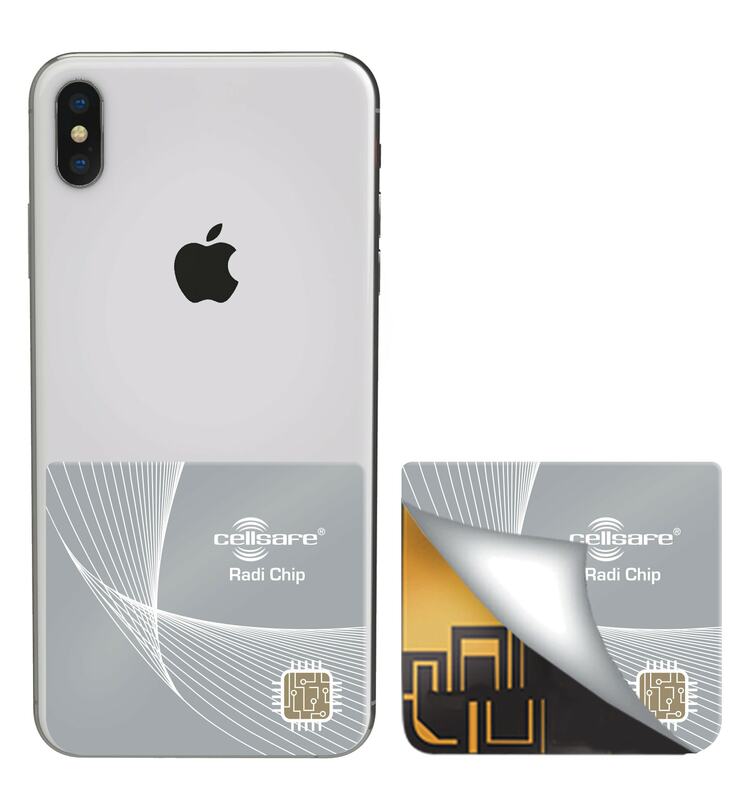 This discreet chip is placed on the back of your phone and at just 0.35mm is thin enough to allow fitting of any mobile phone case over the top, or simply use the RadiChip on your mobile phone without a case. Just keep in mind that cases with aluminium or metal parts may interfere with the performance of the RadiChip. Measuring SAR from mobile phones and tablets is a complex and expensive process. There’s only one NATA accredited lab in Australia equipped to test SAR from wireless devices, and that’s EMC Technologies in Melbourne. 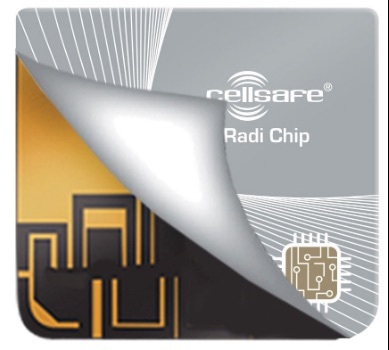 Cellsafe have commissioned full independent reports from EMC Technologies for RadiChip models. If you’d like to view the test reports from EMC Technologies, please email us with your model of phone and we will forward to corresponding test data to you. Ensure you choose the correct RadiChip for your model of phone. Refer to the placement diagram for the positioning of the RadiChip as correct placement is essential. Clean the back of your phone to ensure it is free of dirt, dust, lint or oils to ensure proper adhesion. An alcohol wipe is perfect. Allow the surface to completely dry. 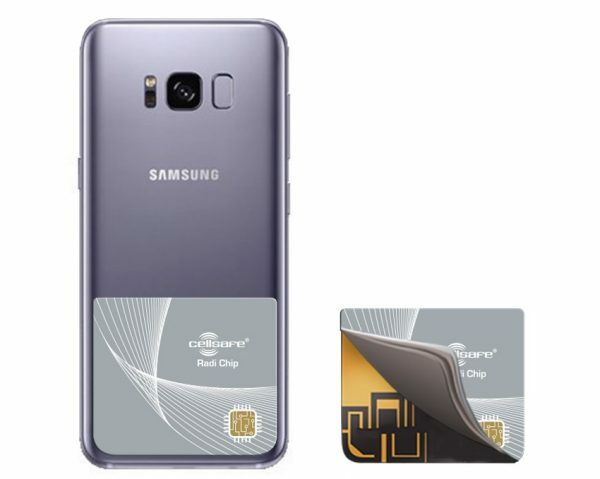 Slowly peel the adhesive backing paper from the RadiChip and gentle place it on the back of your phone in accordance with the placement diagram for your model of phone. 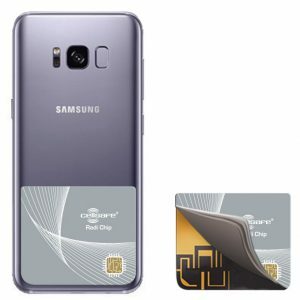 Replace your phone in your mobile phone case if you have one. 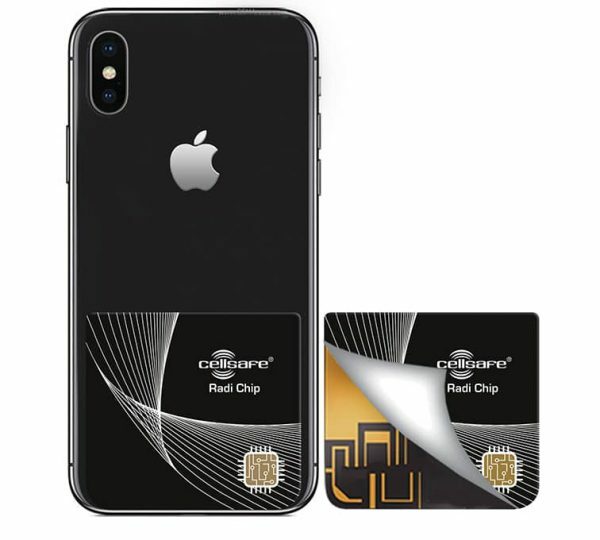 The RadiChip comes in Black or Grey depending on the model of your phone.